On a conceptual level the project aims to question the boundaries between art and craft, use scale and color to play with artistic, architectural and institutional identities. 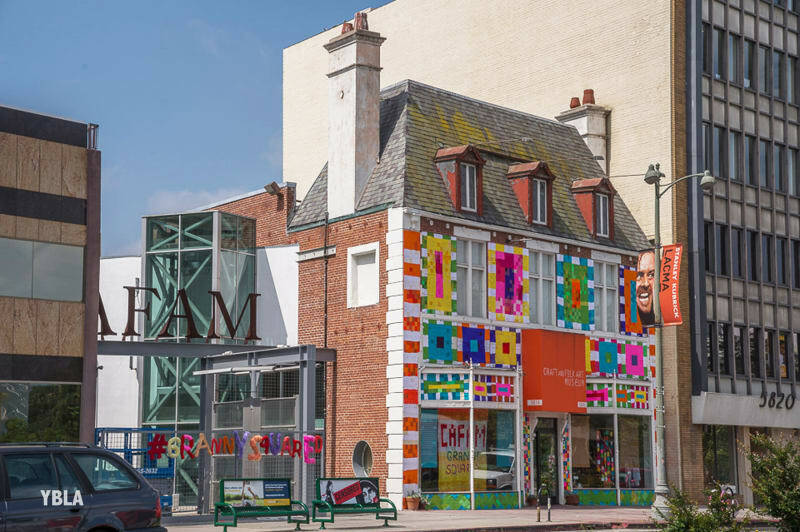 YBLA suggests a parallel between how the Craft and Folk Art Museum is dwarfed by the grandiose structures and other museums across the street on Museum Row, and how craft is dwarfed by traditional notions of “high art”. To deconstruct this dynamic, YBLA will be covering CAFAM in brightly colored, oversized granny squares and other colossal graphic patterns to visually turn CAFAM into a dollhouse and thus “shrinking” it even more and making a commentary on artistic and institutional identities associated with craft, a lesser art form by manipulating architecture, often regarded the highest art form.